Is the tide turning on regulating Facebook and Google? Facebook and Google are modern utilities - and natural monopolies - so they need a utility regulator. Image: Facebook CEO Mark Zuckerberg, May 2018. Rights: NUR Photo/SIPA USA/PA Images, all rights reserved. Let me start with two quotes, six months and a continent apart. The first is from the current chief executive of OFCOM, who told the Cambridge RTS Conference last year that while she believed that Facebook and Google were media companies, she didn’t “think regulation is the answer because I think it is really hard to navigate the boundary between regulation and censorship of the internet”. 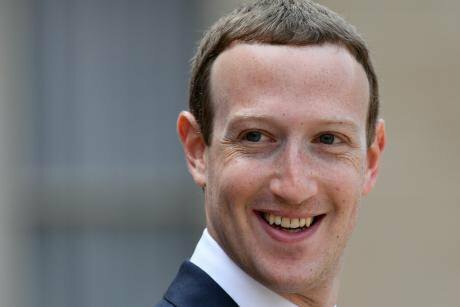 Six months later, in an interview with CNN, Facebook’s founder Mark Zuckerberg said "I’m not sure we shouldn’t be regulated". Indeed, by July 2018, even Ofcom had arguably changed its position to support regulation. Today, the debate over the role of information intermediaries such as Facebook, following the Cambridge Analytica controversy and the revelations of abundant Russian election and referendum interference, revealed by painstaking investigative journalism and detailed academic research, encompasses a range of issues which fundamentally raise the role of state sovereignty and the political sphere of regulation. Facebook and Google are more than media companies. They are advertising engines, data controllers, information service providers and algorithm developers. And they are moving into a variety of new fields such as artificial intelligence and virtual or augmented reality, leveraging the revenues they are earning from advertising. Their corporate power is unprecedented. They have purchased early-stage ventures which might have turned out to threaten their position, and their dominance risks damaging innovation. In their main fields, they are arguably now natural monopolies. The role of network effects and economies of scale driven by Big Data consolidates and concentrates their power as first-movers. The entry costs for new suppliers are so high as to be prohibitive. Their ability to imitate and replicate at low cost the new services offered by competitors reduces the effects of competition. It is difficult for consumers to switch or exit when in the case of Facebook, most of their friends may be on the platform, and in the case of Google, its dominance of data makes it difficult for any other search engine to approach the quality of service it provides. Cross-platform sharing of data within a group of companies such as Facebook, Instagram and WhatsApp, intensifies their dominance. I suggest creating a new category of ‘Information Utilities’ for specific markets such as search and social media, drawing on proposals for the ‘statutory underpinning’ of a new regulatory framework suggested by a former Ofcom regulator. Information Utilities would be licensed as such and they would have specific reporting regulations in respect of the regulator, which would be granted strong back-stop intervention powers. Dominant ‘Information Utilities’ – whose dominance might be measured in terms of their significant market power, such as their share of the online or mobile advertising markets – would have the most stringent reporting duties. These proposals would be compatible with the imposition of a ‘duty of care’ on social media companies being proposed by others. In the case of Facebook, its founder has regularly referred to it as ‘a social utility’ and in his 600-word manifesto last year, referred to it as ‘social infrastructure’ on several occasions. Perhaps we should take Zuckerberg at his word and accept that Facebook is a social utility and a form of social infrastructure. Utilities, after all, are regulated. In the past, Parliament has regulated to control monopoly power. For example, the 1984 Telecommunications Act, introduced when BT was privatised, recognized the danger of such a dominant player being able to exert anti-competitive power and put in place a strong regulatory framework. The situation of Facebook and Google is different, but they are dominant in their spheres and have significant market power. Their potential for exploitation by hostile state actors, as we have seen in both the US Presidential election and in the UK’s EU referendum, means that they should be seen as critical social infrastructure. There would need to be a lead regulator in respect of this new framework for Information Utilities, which should additionally be charged formally with convening regular meetings with other relevant regulators. Today, the regulation of social media is no longer a media issue but a social issue. This is an extract from "Anti-social media? the effect on Journalism and Society" edited by Mair, Clark, Fowler, Snoddy and Tait (Abramis) which is being launched at the Frontline Club on 26 October.